As much as I enjoy the other Toika novels the power ups of this novel feel so incredibly forced it's not even fun anymore. He uses a Mana skill in a slightly unique way and suddenly he gets the hyper uber Mana skill with infinite potential because of his apparent knowledge even though all his "Knowledge" is what the skill tells him. Everything falls into his lap and not just at crucial parts but every chapter sometimes more often. Not to mention the author made him immune to emotions and... more>> thus completely uninterested in other people and completly without motivation beyond getting stronger. Utter disappointment. Is this really the same guy that wrote Everyone Else is a Returnee? ... more>> ZERO interesting characters. ALL of the nonsense and pacing issues. ALL of the numbers rising at an exponential level. Seriously, what the f**k did I just read? For those that read EER, imagine that story (300+ chapters) condensed in only 80 chapters minus the fun and quirky characters. That was my experience so far. Supermegahyper OP equipment comes and goes every two chapters for something even more OP. MC somehow is a genius of magic, and all he did to show that was focus and manipulate mana in a slightly different way. Twice. In the entire novel. The pacing is jarring to say the least. MC visited a few areas at this point, but with no world building whatsoever it makes no difference. One chapter he is at the sewers, the other he is at some forest that was introduced the very same chapter and only now we get to hear why the forest is important or how that one race that was also introduced on the fly is a important part of the world and also under extreme risk now. Thank god MC is there to save the day. This is seriously one of the worst novels I have ever read. No world building (which includes no proper description of any area). Sewers are described as... sewers. One word. That is seriously all you will get. Figure yourself how the f**k that place was supposed to look like or what is happening around the MC besides some monsters (that are also not described) attacking him. I have no investment in the characters, I have no idea where the MC is, where is he going, what he wants to do or why. Who is he? What did he do before being summoned? How does that affect his mindset? If any of those themes were touched, it was for one paragraph tops. This novel is a hard drop. It is really f**king bad. As flawed as EER might be, I still like it, so I don't need a masterpiece to have fun while reading. Nevertheless, this novel bored me out of my mind. I am even starting to get angry at it. It is like the author regressed into a complete amateur overnight. My disappointment is immeasurable. In the end, this novel is all about numbers rising. It is all about the 'tell' instead of the 'show'. MC is now super op, and we know it because we are told so, instead of being shown with proper actions on his part and creativity on the author's part. A f**king disgrace. I seriously don't know how this is rated 4.2. This is a Toika novel, so expect the fourth wall breaking and skeleton jokes. This is like a VRMMO novel with the grinding and stuff at the start, but it will probably stop or lessen at the middle parts. Everyone expects it to suddenly at the end the MC killing the last boss like a trash mob, probably. Toika really wants to make a novel without a harem (but forced by fans to do it anyways) so he probably made the MC a skeleton and I envision him laughing like a... more>> villain saying "NOW NOTHING CAN STOP ME FROM MAKING A NOVEL WITHOUT A HAREM"
Sorry to be the guy that sh*ts on the new novel but, for these 25 chapters (each 'part' is as long as a normal chapter) I've felt like I was reading a videogame log. To be more specific, a MMORPG log. The MC transmigrates as a skeleton hero to purge the undead and so far he just kills monsters, gains skills and stats. The skill list gets longer until you're just bored to read everything once the status screen shows up. Stats are also just numbers that mean very little to the story,... more>> serving only to compare the MC strength with that of the next monsters. There is no story so far and also no characters. His only interactions are with some other heroes in a chat ability he gets, but even that is quite mild. Just a bunch of random people talking in a chat about levels, quests and itens. The only difference with a common MMO chat is the lack of spammers selling and buying game currency. The translation is great as most novels in wuxiaworld are, but unfortunately I can't recommend this, unless you enjoy reading about a skeleton mindless killing mindless monster mobs and getting their skills with endless repetition. It was really good in the beginning, with a really strong start, but as the story progressed I found it to be a bit boring and predictable. Everything becomes really repetitive. Hero kills something, gains new skill, and this repeats with every enemy he meets. There is no goal in sight, its just a mindless power up with no real adversary. As soon as he starts a fight you already know he will most likely win the fight and gain a new skill at the end of the "struggle". Its... more>> just rinse and repeat. At the current chapter, MC already has a wall of text filled with skills.. And it just keeps increasing. First off, each "part" is about the length of a normal Web novel chapter, so the author has that going. The premise was an interesting idea, but maybe it was just my misreading it, but I thought the story would be more about the challenges of being an undead while his friends who weren't kept trying to kill him. Instead its about the MC who is undead and killing his natural teammates, the other undead. Not necessarily a bad story idea, but just not the one I was expecting or hoping... more>> for. If I wanted to be a little mean, I could describe this story with a single sentence: "Yet another Toika novel." Premise: A fantasy world is on the brink of destruction after one of the empires discovers, and unleashes, an undead curse that threatens to kill all living things on the continent. The goddess in charge first sends heroes from her own world to deal with it, but they all succumb to the curse, so he switches to reincarnators as a last ditch effort. Our MC is one such reincarnator, who... more>> wishes for immortality and infinite growth potential in exchange of his services, and due to a case of classic "literal genie" wishgranting, ends up as a low-level skeleton with the ability to infinitely strengthen himself with the bones of his fallen opponents. The local RPG system works with levels, with each of them being a "tier". People have to first qualify for leveling up by reaching a certain sum of stat points, which are granted through achievements, leveling skills through use and by buying stat-increases in the Goddess' Shop. However, since the protagonist can absorb the stats and skills of his opponents, his power level pierces right through the stratosphere, much to his peers' bafflement. Characters: The MC is pretty much your usual Toika protagonist. He is a hard worker who is also really bad with people, preferring to swindle and manipulate them instead of properly connecting with them, trough. He is also a bit of a tsundere. The side-cast so far includes Jin, another unfortunate undead horse he figuratively takes under his wings, the pretty shop keeper lady, the pretty low level heroine with a crush on him, the pretty wizard girl, the pretty elf and the pretty dryad princess. Following Toika's track record, I would not be surprised if all of them ended up in his harem. Yes, including the horse. Jokes aside, the side-cast is not particularly developed so far. Plot: The entire plot also follows the ebb and flow of Toika's other works: The MC travels around to grind something to power up, but stumbles upon some kind of strong enemy, then in a daring attack he beats the enemy, uses the drops and materials to power himself up even further, then uses the shop to buy stuff to power himself up even further, then his skill or class or items or whatever evolve, giving him new options when he goes to another place to grind for powerups, until he stumbles upon a strong enemy, rinse and repeat. Sometimes we have slightly longer breaks, where we get some world-building or get info regarding the empire and the curse drip-fed to us, but the author never spends enough time on this to flesh these parts out, instead throwing the MC right back into the meat-grinder after a chapter or two. As such, just like all of Toika's other works, I can confidently say that this is a story entirely about the power-up cycle. It's a really good novel when you went with the flow but there are illogical things and it's for that I rated 4/5. The concept is really good and it leads to funny situation. The story flow is good and lead to different situation which I enjoyed reading. one problem is how easy the MC level up his skills.... or the other way how hard it is for other heroes to level up their skill. The MC can gain skills or proficiency in a skill by absorbing bones and thus it's easy for him to acquired skills and to level up these skills (though it's only for low level skills as of now).... So the MC, even as a low level, outclass others high level heroes in skill number and in skill proficiency.... And it's not the MC who said that but the author. So there I must say : OK the MC surely had a lot more skills that high level heroes but it's impossible for him to be more proficient than them... I will be fair with you it was said only for his magic ability (at the time the declaration was said the MC was only a beginner at magic and only had a tenth or so of the mana capacity of the high level heroes if they split their stats equally...) So it basically say that nobody is a magician.... they can go to a fantasy world where magic exist and you even have wishes but nobody ask to have magic ??? Just by doing things the heroes should naturally acquired these token but no, it's very rare to have. I mean these conditions are dealing with a lot of monster with a specific type of magic to deal with a lot of monsters (Ah yes I forgot there isn't a single magician hero) or just slaughtering a lot of monsters, the heroes do that all days but they don't have the tokens WTF?!?!? The MC gained some achievements as if he was doing them in solo even when he have helpers. When he killed a monster two levels higher than himself wit the aid of a hero one level higher than himself and gained the FIRST TIME IN HISTORY achievement for having killed a monster with two level more than himself (So nobody ever ask high level people to help them kill high level monsters????) -> It's really weird when you know that the heroes often help each others. A surprisingly good read. At first, I had my expectations lowered thanks to some comments, which I feel judged the contents too early. I can understand why considering the chapters are divided into parts and uploaded at different days or weeks and some chapters do contain quite a bit of log which you can just skim through and partially ignore. It's not an overly complex novel, but it does have some depth to it. The MC isn't mindlessly leveling up, there is a goal and I would say it's a bit... more>> unfair to call the side characters undeveloped as of chapter 17. Most of the side characters have yet to show themselves, the ones that do only meet for a brief period of time. The one side character that is sticking around the MC (that will not be described because spoilers) is decently fleshed out... the irony in that statement (which you'll know once you get to that part). I am a voracious reader of isekai and reincarnation-type stories. Korean novels are very different from Japanese ones and are more plot-heavy with understated humor, I’ve found. This is truly a remarkable gem of a story. I fell upon it through Wuxiaworld and have continued to read this every day. The hero is really interesting, and so is the world-building. Details and characters are not forgotten, and the plot is even tighter than Toika’s previous novels. In fact the entire cast is unique. It’s a funny and light hearted character in a dark world. The characters are believable and it’s not just some mindless power fantasy like so many other. This is a story that was heavily inspired by Dark Souls (video game). That pervasive despairing and lonely atmosphere affects many of the characters due to the isekai world being a sealed underground empire in which they fight against the overwhelming curse of the undead. Except for the main character who is in a different genre from everyone else! It's a fun and good read. I highly recommend it, especially for the distinct contrast. Well, it's the typical Toika pace. 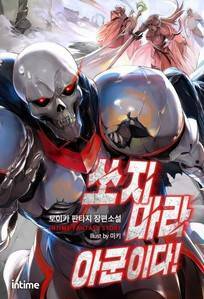 If you had read his other works like Everyone Else is a Returnee and Infinite Competitive Dungeon Society then you already have an idea how this story progresses. This is pretty much the only novel you'll find where the hero gets it on with his horse. Jokes aside, SFF, is a decent read. It has somewhat of a similar style to other works from Toika, but up to now it feels somewhat more fleshed out than other novels. It will take time before we can see if the character gets any development (in character). In terms of story logic, the novel is a bit iffy. The novel is more of a casual read than a serious... more>> one, and the writing itself makes this quite clear. It is fairly well paced, although there is a danger of the MC becoming OP very quickly. its same, like the other toika novels, but different. suffice to say that MC is more OP than your standard toika MC.